Despite our boys’ best efforts, disappointment has reigned these past 10 days or so. Which literally adds insult to injury, as with 12 players out injured vs. Fiorentina, we now also have three suspended. Now we are going away to play a gritty little team who have clawed their way to 9th in the table, coming off of two straight wins. Even though it seems ridiculous after pummeling these Flying Donkeys 4-0 at the San Siro in November, we now head to Verona looking for a win on a wing and a prayer. 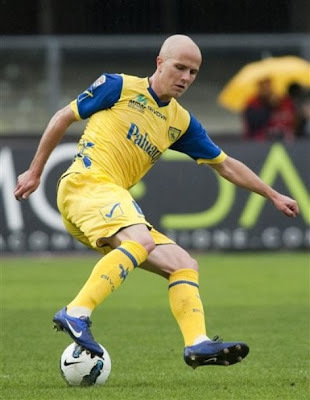 After slipping to 2nd and giving Juventus a 1 point lead on Saturday, rumors abound about things going on at the club. Changes in the air – change the pitch, change the medical staff, change the manager, and more. Sometimes change is for the good, but certainly not in this moment. Allegri has a job to finish, and that is winning a second straight Scudetto, even if we are now at Juve’s mercy to do so. Thus, we need to find 22 healthy legs to provide an air strike or do whatever is required at Verona tomorrow. Meanwhile, the Gialloblu are ready to maintain their two game winning streak and finish higher than they did last year, which was 11th. Coach Domenico Di Carlo has much fewer injuries and home field advantage as well as plenty of confidence to face our battered Milan squad. And did I mention that his mascot’s got wings? That seems like an unfair advantage. Same aerodynamic hairstyle as his coach, but can he fly? Allegri has 3 fewer players to lineup due to 3 players accumulating yellow cards and being suspended for this match: Ambrosini, Aquilani, and Bonera. And now let’s see if Elaine can name all 12 players out injured…. Nesta, Thiago Silva, Antonini, Mesbah, Flamini, van Bommel, Pippo, Pato… no, that’s only 8, I think I’m way too sleep deprived. But you get the picture. Allegri’s got slim pickins for this one, and if none of the injured make it back for the trip to Chievo, he could face a record 15 players out. Ouch. Given these circumstances (and perhaps the aforementioned lack of sleep,) I will now allow you to guess the starting lineup. It should be 11 players who are healthy and not suspended, and consist of a keeper, 4 defenders, 4 midfielders (including a CAM,) and 2 strikers. Don’t forget that apparently Urby can play any position, possibly even keeper, so that gives you a little flexibility. Now go! Give me your starting 11 available players. Then maybe you can replace Allegri if he is sacked this summer. It has been said that ‘these are the times that try men’s souls,’ but these are also the times which prove men’s worth, too. Milan have been handed every disadvantage possible this season and are still just 1 point off of the top. We have come so far, and I cannot believe that it is only to give the title away at this point. 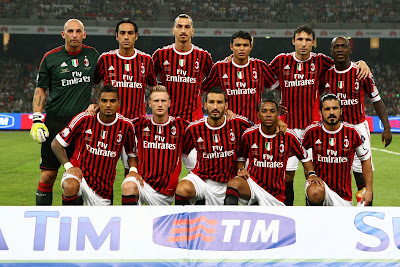 Even if we are fending off Flying Donkeys to do it, I say we fight for that Scudetto and take what is rightfully ours. Even if we go to battle on a wing and a prayer.